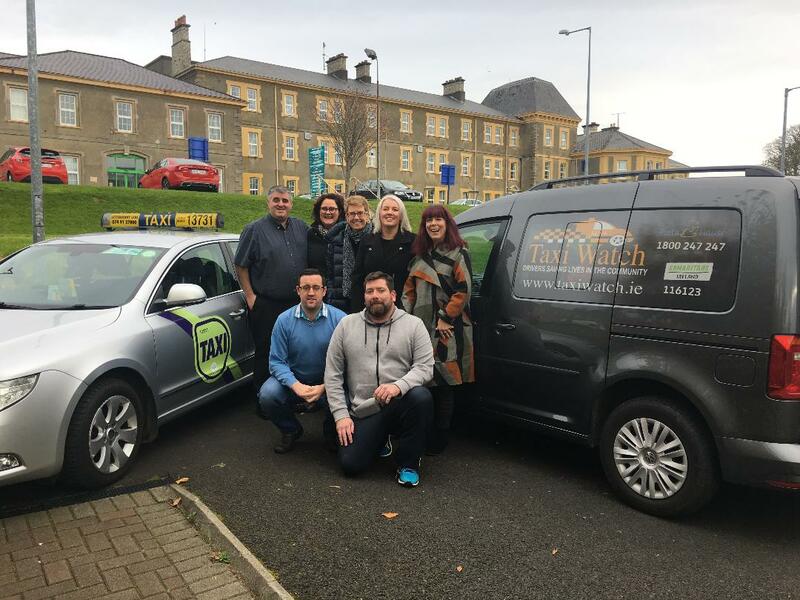 THE fight against suicide in Donegal has received a further boost this week thanks to a new initiative which aims to train taxi drivers with suicide prevention skills, teaching them how to help somebody who may be in distress or feeling suicidal. Derek Devoy (Founder of Taxiwatch.ie), Fiona o Shea(local link Donegal), Anne Sheridan (National office for Suicide Prevention HSE), Fidelma Doherty (local link Donegal), Maire O’Leary (HSE), with Shaun Gallagher from Letterkenny Cabs and Ryan Dorrian of Kia Kabs in Ballybofey. The TaxiWatch initiative was founded in 2014 by Kilkenny taxi driver Derek Devoy who suffered crippling depression after a car crash which caused him to attempt to take his own life on three occasions. 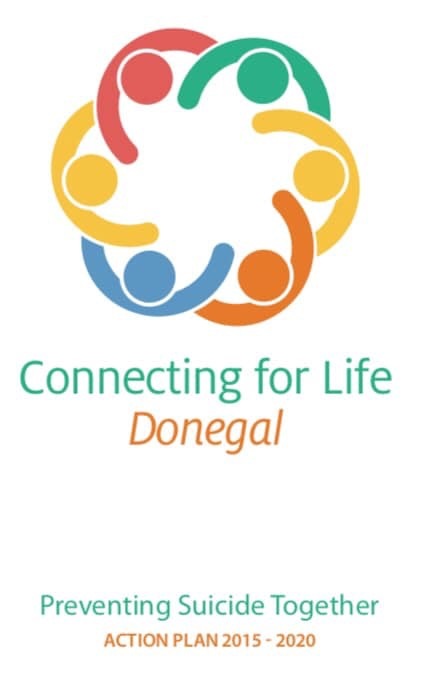 Speaking to the Donegal News, Mr Devoy said he has been overwhelmed with support for the initiative in Donegal, which is now the thirteenth county in Ireland to roll-out the initiative. Mr Devoy met with HSE and LocalLink representatives in Letterkenny on Tuesday as well as local taxi firms Letterkenny Cabs and Kia Kabs from Ballybofey where the go-ahead was given to roll out the initiative here. 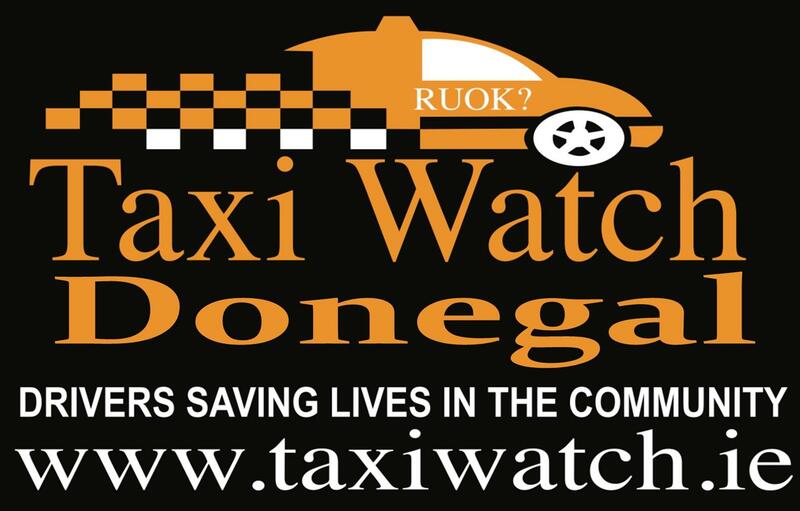 He stated: “It was a great day for TaxiWatch and the community in Donegal, as the initiative now has the full backing and funding from the HSE. This week I sat down with two local taxi companies in Letterkenny as well as Anne Sheridan from the HSE National Office For Suicide Prevention, Maire O’Leary who set up the meeting and two Fidelma and Fiona from Locallink.ie and Eamonn O’Donnell from Northwest Taxi Proprietors in Derry. “We are able to train 25 drivers at a time and in Donegal that will begin in January. It is our ultimate aim that drivers across the county will come on board and the HSE have confirmed they are prepared to fund as much training as is required,” said Mr Devoy. Through TaxiWatch, drivers receive special training. The Safetalk awareness course, for example, is aimed at helping them to recognise people who may be in distress, to provide a calming, listening ear in the first instance, and, for those requiring further help, to refer them to front-line authorities and charities who provide free counselling. It provides a key link to charities like Pieta House, the Samaritans and others. 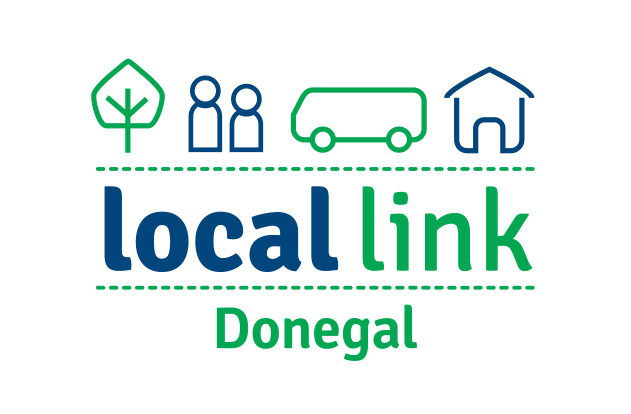 The LocalLink involvement in Donegal will also see bus drivers trained in the same way. Over the past four years, TaxiWatch has been responsible for physically saving more than 200 people who had tried to take their own lives.